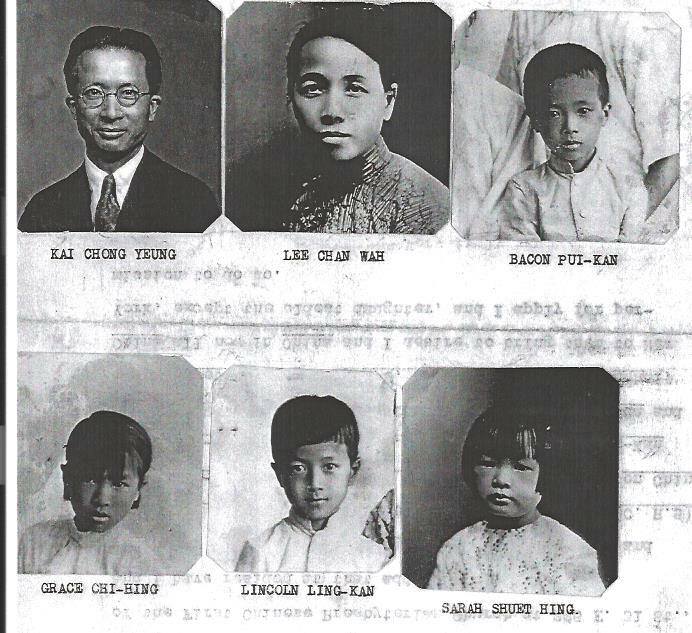 Photos, 1930, Chinese Exclusion Act case files, RG 85, National Archives-Seattle, Lee Chan Wah file, Box 833, Case 7031/43. Photographs for Rev. Kai Chong Yeung and family. Rev. K. C. Yeung was the minister at The First Chinese Presbyterian Church, 225 East 31st Street, New York, New York. He applied to have his wife, Lee Chan Wah, and their four children join him in New York. Their eldest daughter, Margaret Mo-Hing stayed in China.